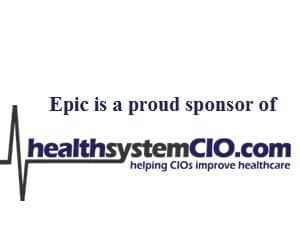 HIMSS19 in Orlando starts in less than a week; 45,000 or more of your closest friends, all in one place. If that causes you ogeda, you are not alone. While you may not be an introvert, you may be somewhere in the middle on the introvert-extrovert spectrum. 45,000 people, long days, crowded exhibit floors and hallways, noisy evening receptions – it overwhelms everyone at some point. Have an overall plan of what you want to get out of the conference and establish daily goals. For introverts, this might mean determining how many new people you want to meet each day. Walking into a room of strangers will be easier if you have a colleague to go with. But don’t depend on them to do all the talking. A good way to connect with someone is to tell them your name and where you work then ask them an open ended, conversation-starting question: it might be about their goals for the conference, why they are interested in hearing the next speaker, or what are they working on that excites them. Be kind to yourself and don’t put undue pressure on yourself to show up at everything. When we think about what stresses us, it is often unrealistic expectations we set for ourselves. Leverage social media and any live streaming of events to keep up when you don’t want to face the crowds in person or just need a “you” break. Growing up, my oldest daughter was a classic extrovert and the youngest an introvert. When they were in high school, the oldest asked the youngest her own form of an ‘introvert vs extrovert’ questionnaire. Do you walk into a room full of strangers and think everyone is your friend until they tell you that they aren’t? Or do you think only the person who says they are, is your friend? After working in retail and needing to sell one on one with customers (all strangers to her), my youngest daughter became more of an extrovert, at least in certain situations. And to this day, my oldest daughter will walk into any room of strangers with self confidence and a smile, extend her hand, and introduce herself. My husband is a retired minister and somewhere in the middle on the spectrum. As a minister, he could get up in front of the congregation and preach every Sunday with confidence. But he used to hate having to call a stranger on the phone. He can be the life of a party for a while, and then when his “timer pops” as we say, he’ll just withdraw. I’m a classic extrovert. I have no problem walking up to strangers and introducing myself. I love being in the middle of a group conversation. But I too reach a point where I want to withdraw and have had enough social time and talk. If you are doing a presentation of some kind for the first time, being an extrovert or introvert may not matter. After all, doesn’t everyone have first time speaking jitters and lack some confidence? My first speaking opportunity at a conference was more years back than I care to say. It was in the mid-80s. I was the only female on a panel at a time when far fewer women were doing public speaking. There were about 300 people in the audience for the breakout session. We each had 20 minutes at the podium. I didn’t think my topic was necessarily worthy of the panel, but a consultant I knew encouraged me to participate and said it would be useful to others – I think I presented a case story on some elementary form of file sharing we had done at my healthcare organization. Sounds like the dark ages when I say it now in 2019. Anyway, the speaker right before me worked at Tampax; he told a disgusting joke that was totally inappropriate for a professional audience of men and women. I already had a nervous stomach over the prospect of speaking and his joke just made it worse. I thought, what had I gotten myself into? I got up to speak and did my best. I’m happy to say it’s been downhill (in a good way) ever since. The takeaway on public speaking? There is always a first time (hopefully yours will be a better one than mine). With experience, you will get more comfortable, more confident, and that much more effective. For more tips and advice on how to navigate a conference as an introvert, check out the “The Introvert’s Guide to Networking at HIMSS 18” that Healthcare IT Leaders published last year. The advice is practical and spot on. This piece was written by Sue Schade, Principal at StarBridge Advisors. 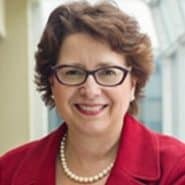 Her extensive health IT leadership experience includes CIO roles at Brigham & Women’s Hospital and University of Michigan Health System. To follow her on Twitter, click here. When Does The Honeymoon End? What Does Weeding Have to Do with Work?